Since 1997, Children’s Heart Project has arranged life-saving operations for more than 1,100 children from Bosnia, Kosovo, Honduras, Uganda, Mongolia, and Bolivia. 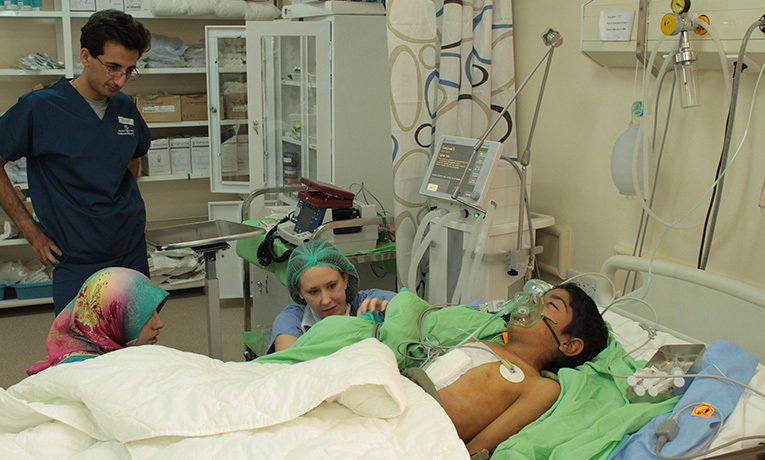 Children’s Heart Project works with top-quality hospitals to provide surgery for children who live in countries where the required medical expertise and equipment are not available. Samaritan’s Purse arranges airfare for the children, a parent, and a translator. A typical group includes two children, their mothers, and a female Christian interpreter. We also locate evangelical Christian churches and families willing to host the groups. The churches commit to pray for the project, appoint a coordinator (staff or lay person) to spearhead the project, and identify a host family. The church and family provide housing, local transportation, food, toiletries, international phone cards (to call home occasionally), and emotional and spiritual support and guidance for the typical time period of five weeks. The host church and family become witnesses of Christ’s love as they experience missions work in their own backyard. The opportunity to impact the nations for Jesus through a family and a Christian community modeling the love of Jesus is enormous! Dozens of parents have accepted Jesus Christ as Savior through the project. They multiply the blessings when they take their new faith back to their families and nations.